Backed by a rich industrial experience, we have come up with a world class assortment of Eye Kajal. Eye Max Kajal packed beautifully in 6 pcs card packaging. Owing to the rich industrial experience and expertise in this domain, we are engaged in offering Eye Kajal. 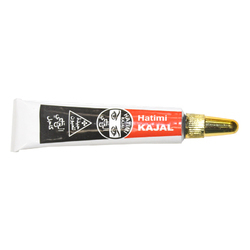 The offered Eye Kajal is a very stable formulation for a cool and rejuvenating eye. The offered range helps to enhance the look of eyes. Moreover, we offer our product range to our clients at pocket friendly rate. Mesmerizing Black retractable kajal for easy application and a rich look. Also Blends in smoothly like an eye shadow for perfect smoky eyes. The solid color stay formula of kajal is silky smooth and glides on perfectly, without dragging across the most fragile skin around the eye area. It delivers bold, clear, true color that blends easily and beautifies.